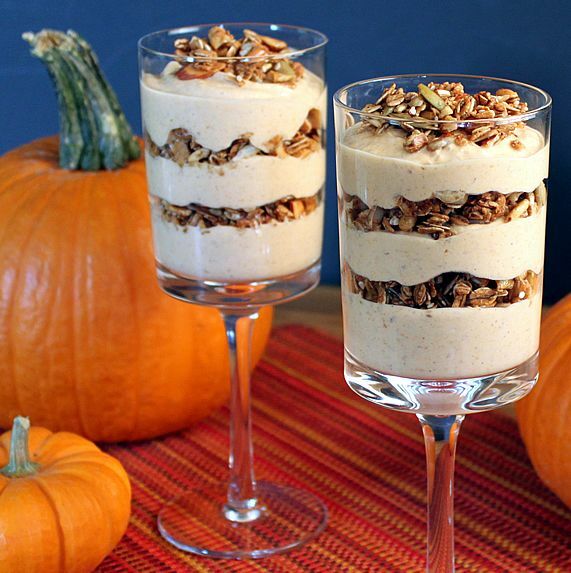 This combination of spices is the perfect blend for these parfaits....and also pumpkin pie! I prefer this 100% pure grade B maple syrup with its strong maple flavor. If you prefer a milder flavor, click below for Grade A.
I buy this economical 12-pack in early fall to have on hand throughout the fall/winter pumpkin cooking season. This is preferred over whole flaxseed for better nutrient absorption. It can be added to many foods for an invisible nutrition boost. 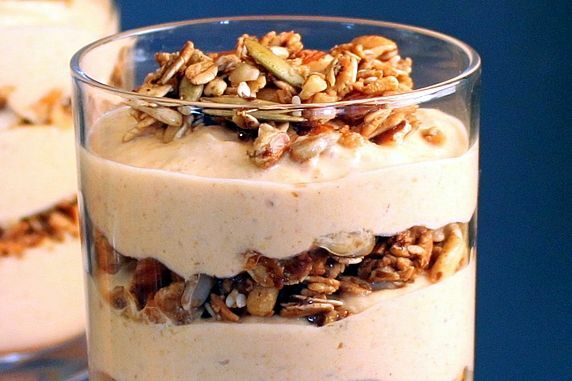 This is like having pumpkin pie for breakfast; except this parfait is low-fat and packed with nutrition. It's a perfect autumn breakfast. 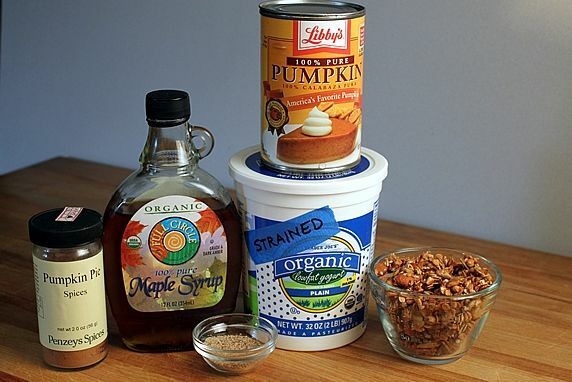 Combine yogurt, pumpkin, pumpkin pie spice, maple syrup, and flax seed in small bowl. 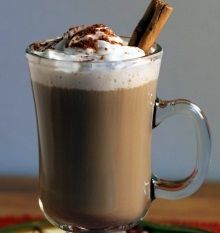 Taste and add additional syrup, if more sweetness is desired. Add 1/4 cup yogurt mixture to 2 parfait glasses. Sprinkle on a layer of granola. Add another layer of yogurt and granola. Top with remaining yogurt, sprinkle a garnish of granola on top. Best if assembled right before serving to avoid soggy granola. 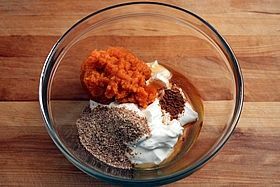 Make ahead tip: Yogurt & pumpkin mixture may be combined the day before and refrigerated for faster parfait assembly for breakfast the next day. 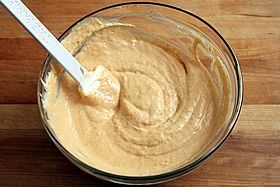 Fruit dip: This yogurt/pumpkin mixture also makes a tasty, healthy fruit dip. This is like having pumpkin pie for breakfast; except this parfait is low-fat and packed with nutrition. It's an easy everyday autumn breakfast, but is pretty and festive enough to serve to guests. A healthy, yummy way to start the day! Yogurt nutrition. High in calcium and protein, it's one of those foods that we're encouraged to include in our diet on a daily basis. 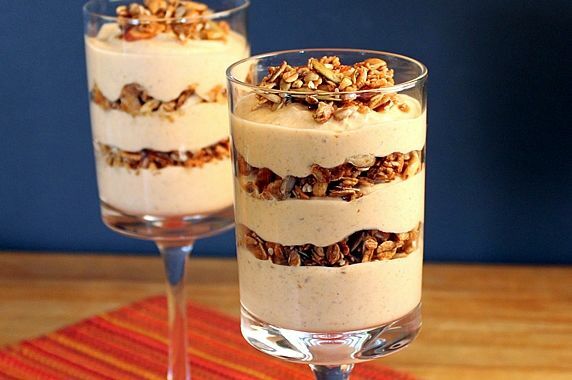 This parfait is a yummy way to do it. Read more about it's benefits here. Pumpkin nutrition. Not just for jack-o-lanterns and pie, this veggie is low in calories, high in fiber, and rich in antioxidants and vitamins. Read more about pumpkin goodness here. This parfait is a great way to incorporate a serving of veggies into your breakfast. Canned pureed pumpkin--unsweetened, unflavored; just plain ol' pumpkin (or cook and puree a fresh pumpkin). Libby's pumpkin is pictured below; but I now buy 12-packs of organic pumpkin from Amazon to use throughout the fall/winter pumpkin cooking season. Step 2. Combine everything except the granola in a small bowl. Stir it all together and give it a taste. Add more syrup and/or pie spice, if desired. Step 3. 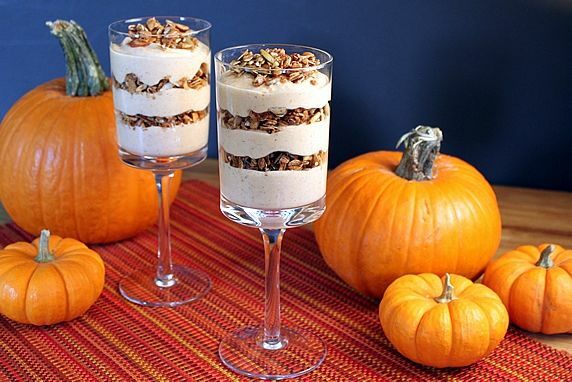 To make the parfait, start with a layer of the pumpkin yogurt mixture in the bottom of a parfait glass. Sprinkle granola on top of the yogurt, and continue stacking layers of yogurt and granola. Tips for clean & pretty layers: (1) Use a glass that is relatively wide at the top. Many parfait glasses are tall and narrow, making them harder to fill without drizzling down the sides of the glass; (2) Add the yogurt mixture a spoonful at a time down the center of the glass, then push it out to the edges of the glass and level it with the spoon; then sprinkle on the layer of granola making sure it is visible around the edges; tap the granola gently with the spoon to close as many air pockets as possible--that way the yogurt can't as easily bleed into the granola. The combo of nutty, crunchy granola with creamy pumpkin yogurt is SO GOOD. 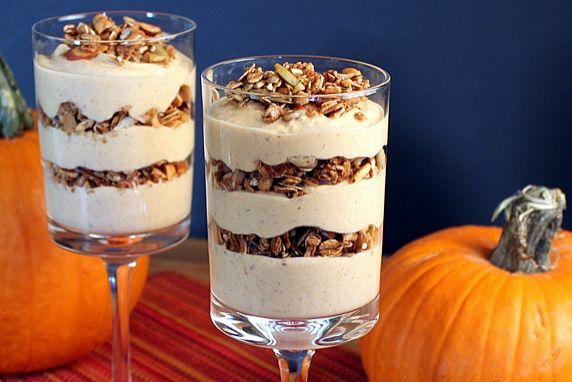 It's hard to go wrong with a pumpkin pie parfait for breakfast! Make ahead tips: There are two ways to make these ahead. Make the parfaits, start to finish, the day before, cover and refrigerate. The granola looses it's crunch, but the flavor is still great. The yogurt mixture firms up when the parfaits are chilled and makes a nice texture for eating. It sure is convenient to have the parfaits completely ready to serve when you wake up in the morning. It's also a healthy fruit dip! This yogurt/pumpkin mixture is especially good as a dip for fresh apple and banana slices.